Dichlorvos or 2,2-dichlorovinyl dimethyl phosphate (commonly abbreviated as DDVP) is an organophosphate, widely used as an insecticide to control household pests, in public health, and protecting stored product from insects. Dichlorvos or 2.2-dichlorovinyl dimethyl phosphate (commonly abbreviated as DDVP) is an organophosphate, widely used as an insecticide to control household pests, in public health, and protecting stored product from insects. It acts against insects as both a contact and a stomach poison. 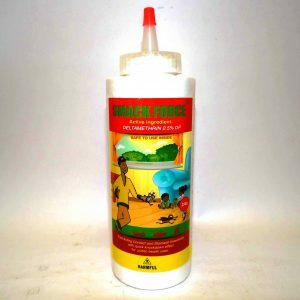 It is effective against mushroom flies, aphids, spider mites, caterpillars and whiteflies in greenhouse, outdoor fruit, and vegetable crops. It contains 100% W/V Dichlorvus emulsifiable concentrate. It contains DDVP as its active ingredient,1000EC. 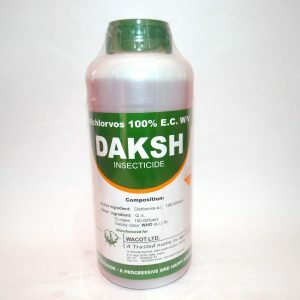 It works by controlling the insects; killing the parasitic worms. 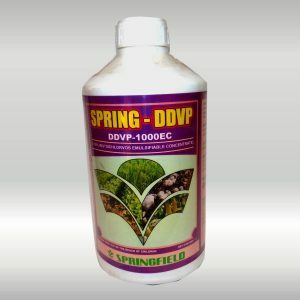 DDVP is an organophosphate, widely used as an insecticide to control household pests, in public health, and for protecting stored products from insects. Active ingredient: Dichlorovos 100% EC, Organophosphate Insecticide,Mode of Action:Contact and Stomach poison, which also acts as a fumigant. 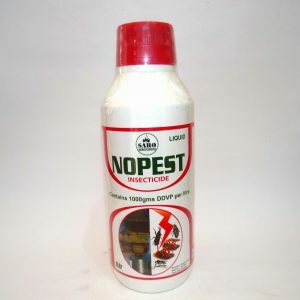 Has good penetration properties and it kills insects immediately.